The kids started school today, one in high school and one in middle school. I cannot believe they’re that old, or that I’m old enough to have kids that old. We had an early start to the day to get them on the bus, and now I am relishing the quiet. I still have a bouncy puppy who wants to play, but otherwise the house is empty. There’s no one else here that I have to worry about, or take care of, or anticipate the needs of. It is bliss. It’s a feeling that I haven’t felt for a long time, and I’ve needed it. I like being their mom, I like helping them and the rest of my family, but I need this time to myself too. What’s the saying? “In the event of an emergency, apply the oxygen mask to yourself before helping others.” I’ve been trying to remind myself of that lately, that I need to take care of myself so that I’m healthy enough to help others. But it’s hard. You all know it’s hard. Anyway, so today. Quiet, empty house. I finished another Christmas present last night so as a reward I’m casting on a treat for myself. 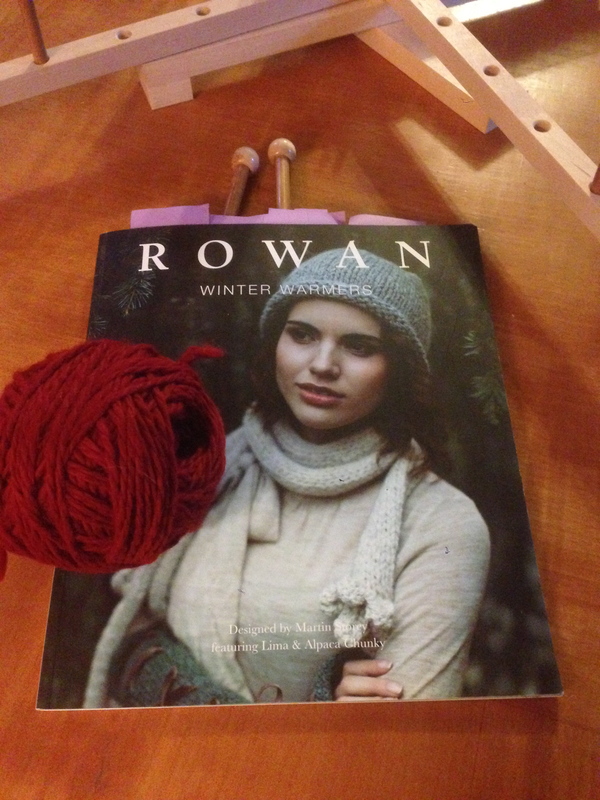 When I went to that store-closing sale a few months back, I bought a bunch of yarn, but I also bought an awesome book by Rowan called Winter Warmers. It’s full of patterns for their Lima (worsted) and Alpaca Chunky yarns, which are the weights I use most. They’re all these gorgeous muted tones of gray and blue and lilac and caramel and I want to make everything in there. I don’t have any Rowan chunky, but I do have several skeins of Cascade Baby Alpaca Chunky, which is probably my favorite yarn ever. 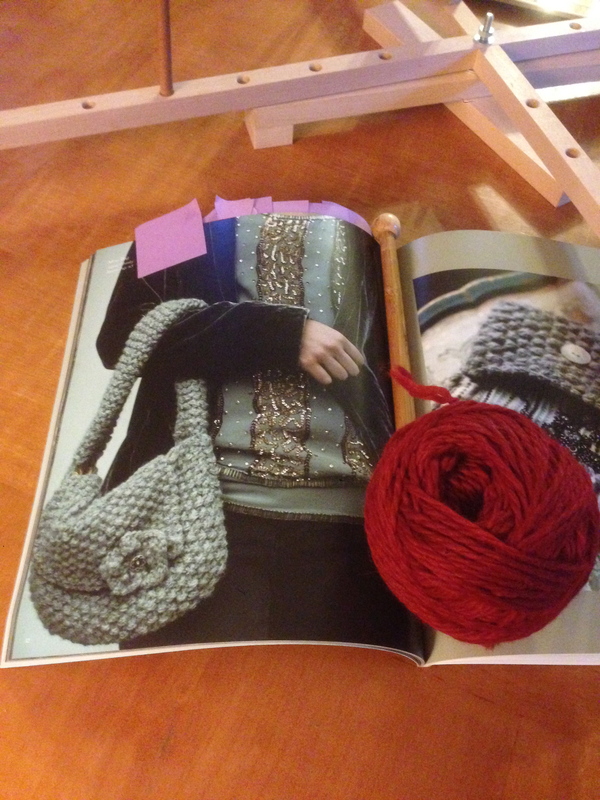 I have three skeins of this red, and they’ve been earmarked for this pattern since I looked through the book. Can’t wait! I’m off to cast on now!